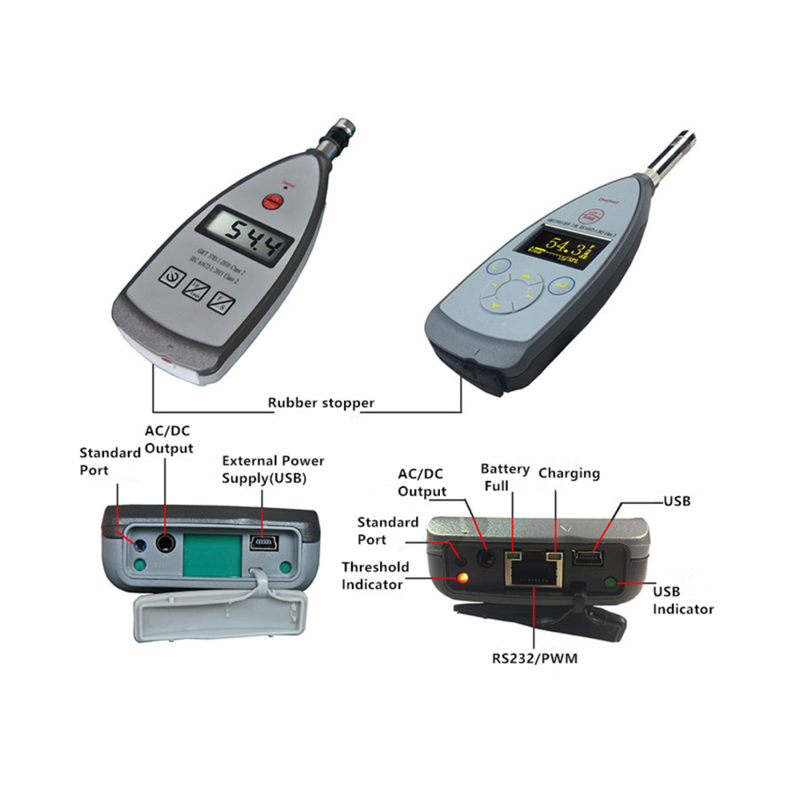 MEWOI6636 Series Sound Level Meter belongs to Class 2 Sound Level Meter and is suitable for general noise measurement. The instrument has the characteristics of simple operation and low price. It adopts a digital and modular sound level meter. Implementation of GB/T 3785.1-2010 and IEC 61672-1:2013 standards for two-level sound level meter requirements, the sensitivity to radio frequency field belongs to category X. This instrument adopts advanced digital geophone technology. It has the advantages of high reliability, good stability, wide dynamic range and no need of range conversion. It can be widely used in industrial noise measurement of various machines, vehicles, ships and electrical appliances, as well as in environmental noise, labor protection and industrial hygiene measurement. “32kHz,16bit”, “16kHz,16bit”, 8kHz,8bit” are optional. LFp, LSp, Lip, Leqt, Lpeak, Leq,T, Lfmax, Lfmin, Lsmax, Lsmin, Limax, Limin, SEL,Lex8h, LAVG, TWA, DOSE, L5,L10, L50, L90, L95, SD, Ts, Tm, Volt, Date, Time, E.
Built-in memory 2 GB to store data records instantaneously with 1 minute interval and send data to printer, stores 8000 groups measurement results or continuously store more than 500 hours.